Sixteen students—and one lucky teacher—will win a Samsung tablet or laptop by entering the 5th annual Take Care of Texas Kids Art Contest. We invite K-5th grade students to submit their artwork. Entries should show positive ways to keep the air and water clean, save water and energy, and reduce waste. Prizes are made possible through a donation from Samsung Austin Semiconductor. The contest opens Jan. 3 and closes on March 1. Entries must be postmarked on or before March 1. Winners will be announced by April 15. 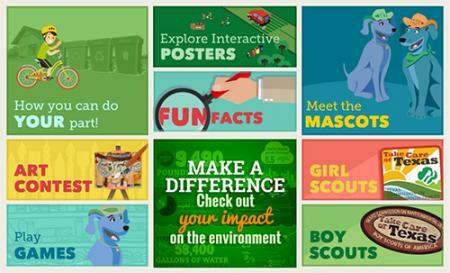 These tools will help kids learn about the environment and come up with creative ideas for their entries! 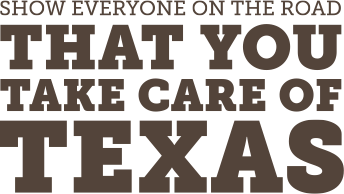 Explore the interactive How Do You Take Care of Texas? poster with your kids or your class. Check out the kids section of our website, which has fun facts, games, and tips. Help kids learn about their lifetime impact. All they have to do is put their birthday into our interactive tool. Visit our website to learn more about the contest. Sign up for the contest e-mail list to get the latest news delivered to your inbox.